Wondering whether to buy a RAD roller? Here’s my RAD roller review based on my use of it over the last few weeks. Have you heard of foam rollers? Do you use one? What do you like about it? What don’t you like? I have bought a couple of foam rollers over the years. My first one was because other runners said they used one and it’s good, so based on that I went out and bought one. I didn’t want to spend a lot of money, and let’s just say I got what I paid for. A cheap soft foam roller that didn’t really do anything. I found myself rolling on it occasionally without much effect. I’d heard others say how painful they were. This one caused no pain and was kind of cushioning. Truth is, it was too soft. So it didn’t provide any benefit at all. Then I bought another one. A firmer one, a more expensive one. I had times where it really hurt to use it. The old ‘no pain, no gain’ came to mind. But I also realised that the more I used it, the less pain there was because it was serving it’s purpose. Massaging the muscles that had tightened during exercise. Again, based on other people’s recommendations I used it when I was watching TV, kind of as a distraction. I don’t know about you, but I don’t usually lie in awkward positions on the floor to watch TV. The traditional foam roller requires all rolling to be done on the floor. Doable, but when you get to the good parts of the TV show, you want to be watching TV face on, and then the foam roller lies there waiting for the scene to finish. And then I came across the RAD roller. It’s based on a foam roller but it’s so much more. I have the RAD roller All-In kit. Seven pieces of equipment with hundreds of different ways and places to roll. First up, why roll? Let me run through what I now know about rolling and it’s benefits, then I’ll go through the different RAD roller parts and then show you how I’ve used them and the benefits I’ve gained over just one month of using the RAD roller. And in the interest of being open and above board, I was gifted the RAD roller to test out. But all words and opinions are my own. RAD have given me the freedom to write exactly what I think about their rollers. Using a foam roller is a form of self-myofascial release, or SMR. Fascia is the connective tissue of the body and so myofascial release refers to releasing, by way of massage, the connective tissue, and the ‘S’ refers to doing it to yourself, as opposed to seeing a massage therapist. SMR is said to relax contracted muscles, improve blood and lymphatic circulation, and stimulate the stretch reflex in muscles. In my subjective questioning of friends over the years, they have all believed to have seen and felt benefits when using a foam roller. And I’m the same. When my quads or calves are tight, the foam roller comes out and a short roll will provide some relief. And if I don’t do it at the first sign of stiffness, then I have needed to continue the rolling over a number of days. Ideally, a regular routine of rolling is going to provide benefits. 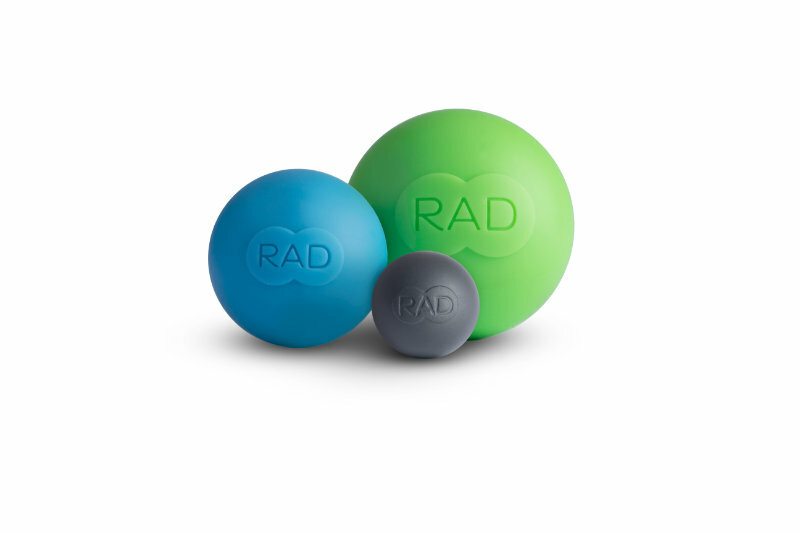 The RAD roller is the product that started it all. And it’s not what what a typical foam roller looks like. It’s purpose is to provide compression or point release. This is where the benefit of the different parts of RAD come into play. 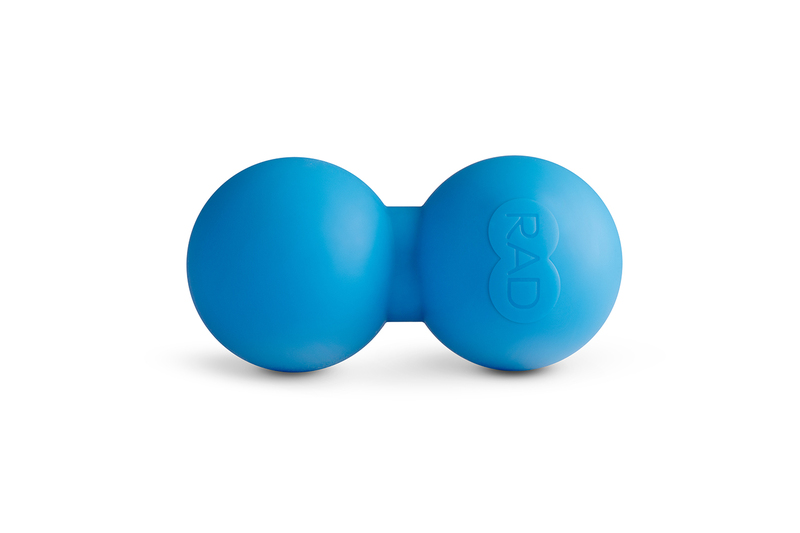 They are not one big long foam roller, but two small balls joined together to target just about any muscle on your body. It can be used for compression or point release, where you lay on it and oscillate slowly on a spot, or you can roll it along your muscles and use it to flush them out. 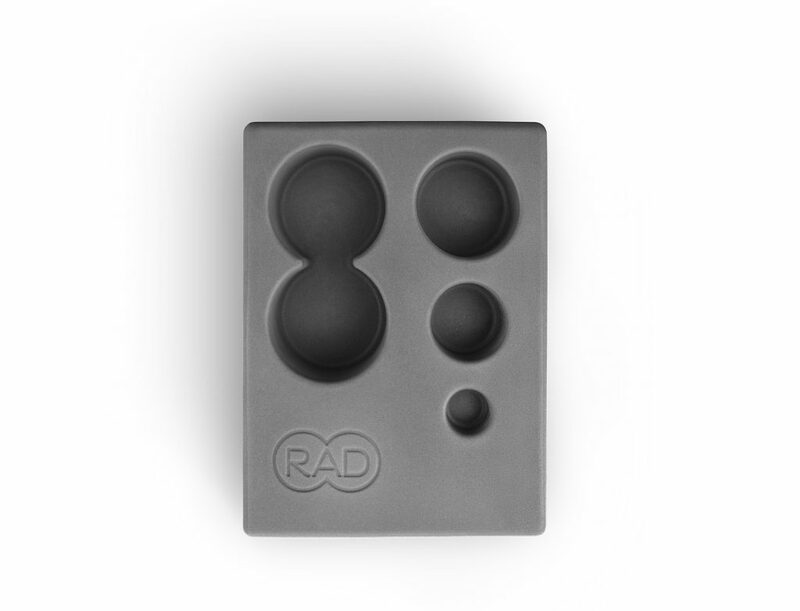 RAD rounds come in 3 targeted sizes and densities – small, medium and large. Obviously the muscles that you need to target are all different sizes therefore so are the rounds. Use the smallest to massage into your temples, the medium for your hands and feet and the larger one for glutes, hamstrings and adductors. Of course, each one can be used for whatever area suits you, your body and your size. The RAD block is not just for storing your RAD rounds and rollers. It’s a multi-purpose tool that gives you hands-free, isolated pressure in hard to reach spots. It allows you to stabilise the ball, so it won’t roll, to isolate pressure and give you better leverage. Perfect for those hard to reach muscles that typical foam rollers can’t get to. Ever wanted to roll your shins? Seriously though, who would actually want to do that? But sometimes you just need to. 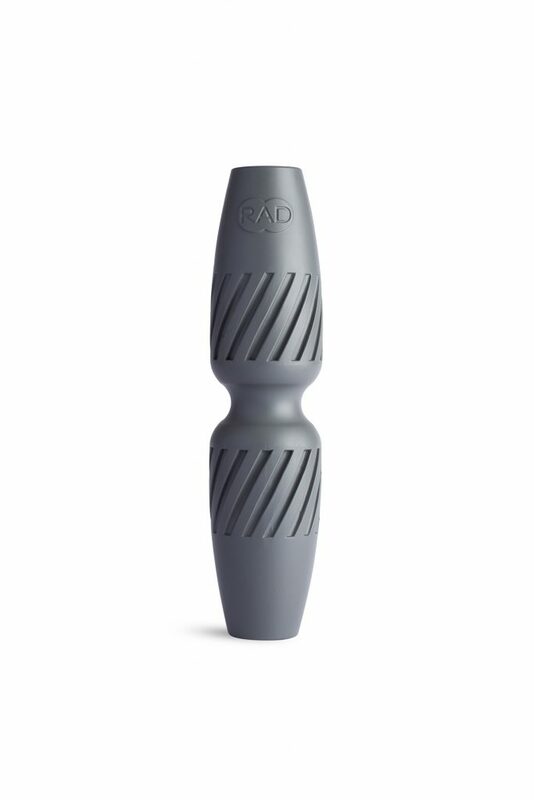 The RAD rod is a slender design, perfect for bony areas like the shins, but can also be used along forearms, triceps, IT band and the arch of the feet. 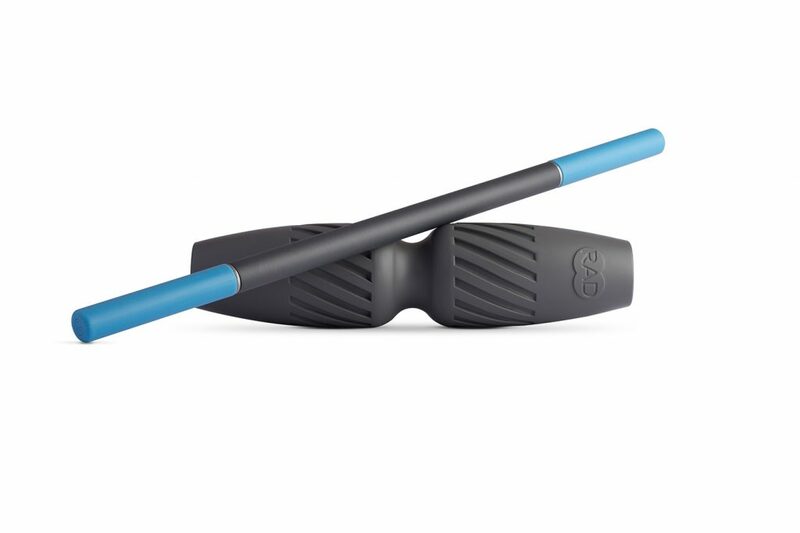 The RAD helix has the benefit of two sides to be able to roll out your back all in one. It’s a great tool for flushing to provide relief wherever it’s used. Great for the spine, but also the quads, calves and triceps. Team it up with the RAD rod and it’s like a rolling pin but to promote a healthy, open posture, not roll out dough. 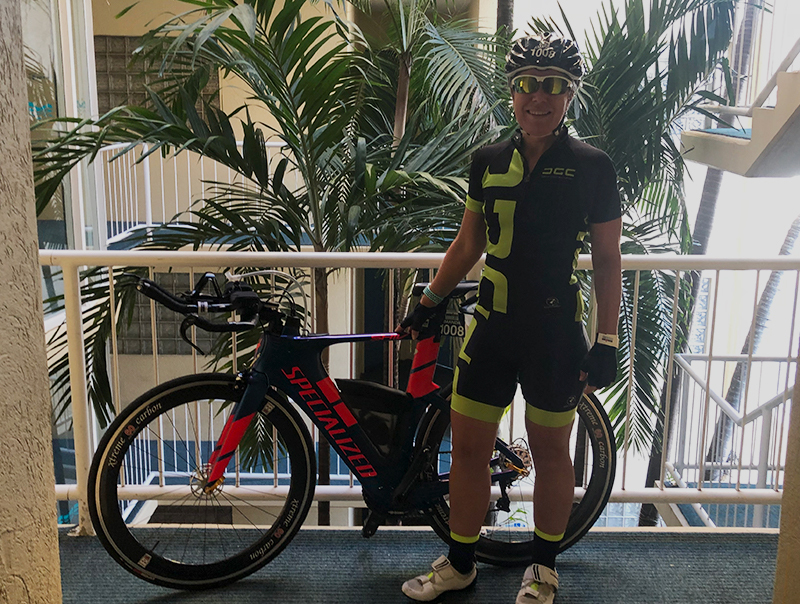 Since October, my training load has increased a lot in preparation for Cairns Ironman in June, 2018. That means lots more running, swimming and cycling. 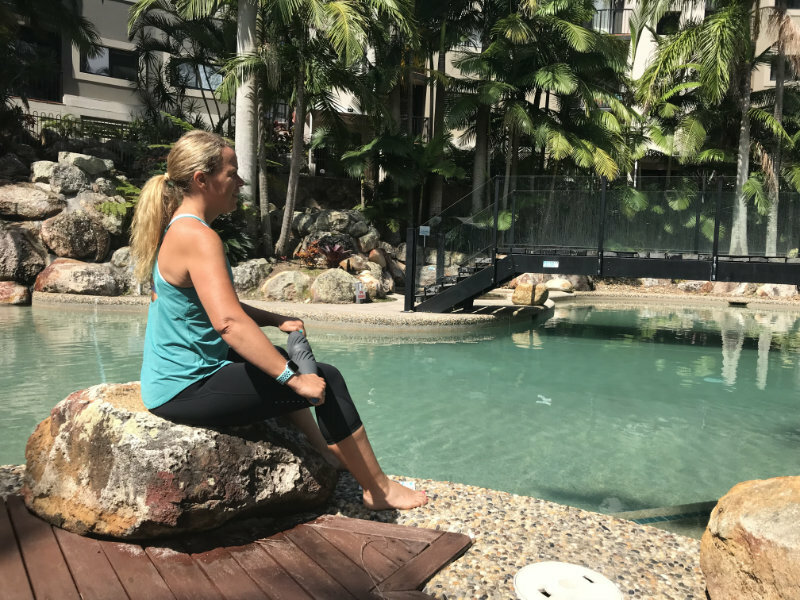 I’ve tried to add a short yoga session in a couple of times a week as well, it’s more like a stretching session, and I’ve learnt the value of recovery. 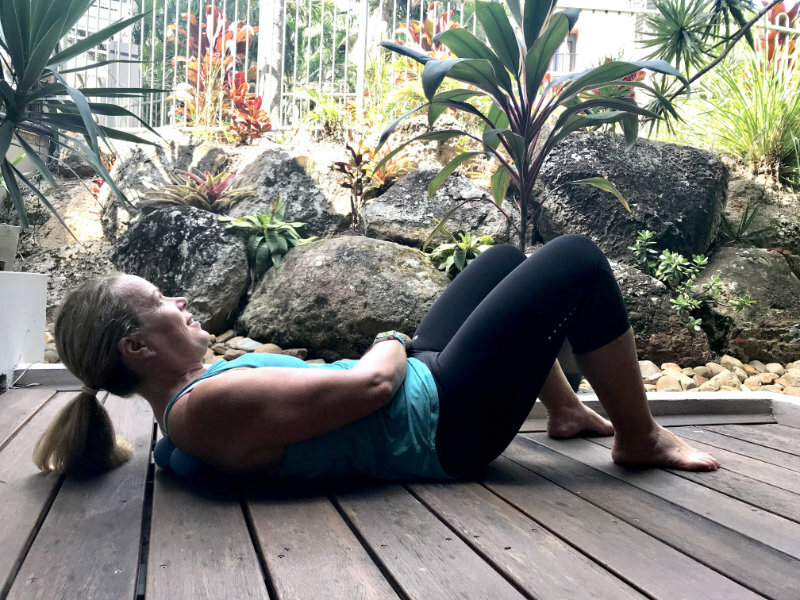 From October to December, I’ve had a traditional foam roller in my lounge room, ready to use at a moment’s notice – or when I could be bothered lying on the floor and rolling on it. I did use it occasionally for my larger muscles – glutes, hamstrings and quads. In December I was given the RAD Roller All-In kit and I finally got myself motivated to roll on a regular basis. 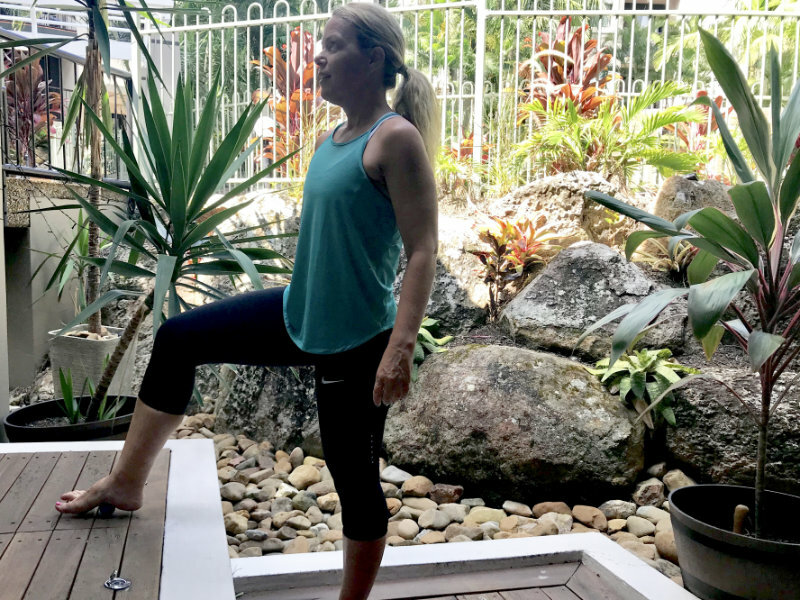 My biggest areas of tightness are my shins and my back – mostly my upper back. The first thing I did was put the RAD rod into the helix to create the rolling pin and used this to roll my shins, my quads and hamstrings. The benefit of the rod and helix together is that you can do it sitting in a chair, standing up or lying down. The helix rolls freely over the rod to roll up and down whatever body part you’re flushing. At first, it really hurt my shins – a good amount of pain. But over time the pain eased as my body reacted to the flushing out and massaging of the fascia. It’s really quite easy to move the rod and helix to do the sides of your legs, without any awkward movements. I spend about 5 – 10 mins most days with a roll over my shins, quads and hamstrings. For my back I’ve been using the RAD roller. I have used the helix as well. The helix works brilliantly for a full back release. But for smaller, more targeted areas the RAD roller has been a blessing. At the beginning of December my longest rides were two hours. I’m now getting close to four and a half hours, which is a long time bent over on a bike. I’ve always had a very sensitive back, a massage therapist once told me that I have the most ticklish back he’d ever come across. My current massage therapist uses cupping as a way for him to soften the tight muscles. The helix has provided some relief with this, but the roller has been the most beneficial. To be honest, it is a bit awkward and uncomfortable when you first start using it. But I have noticed that it has become much easier and more comfortable over time. It is incredible at targeting specific areas of my back, getting right in to release the tightness. I’m sure it would work as well on other tight areas if you really need to spot target muscles. The other thing is loose clothing gets a bit caught up in it. I now use it straight on my back without a singlet – even more targeting. I sometimes use it leaning against a wall to really target specific tight spots. I’m also a bit of a freak in that I can make myself have a foot cramp and I actually enjoy the feeling. I haven’t met anyone who quite understands why I like the feeling of a foot cramp, but, anyway, I’ve been using the medium size RAD round on the arch of my foot, the ball and the heel. I have it under my desk and will roll regularly throughout the day. The result? I can’t cramp my feet anymore. Most people would be happy about this. To be honest, I kind of miss the foot cramp feeling. I’m sure most practitioners would say that it’s better that I can’t make myself cramp. I see a massage therapist on a monthly basis, and think that the two work well together. I can roll out some soreness daily using RAD products, but then my massage therapist takes it that bit further and deeper to provide benefits to my whole body. The RAD All-In kit comes complete with brochures explaining different ways to use each of the pieces. There are also downloadable PDFs on their website and YouTube tutorials to help you get the most out of each piece. There’s nothing worse than getting something new and not knowing how to use it. 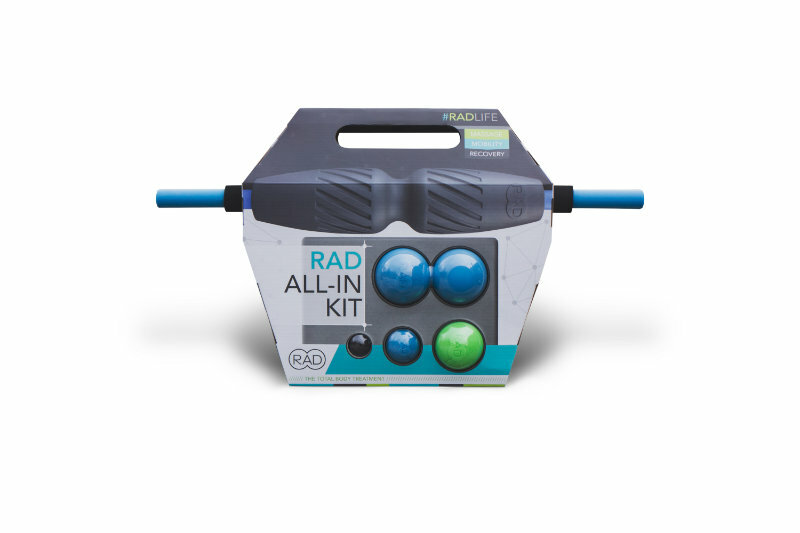 In summary, the RAD All-In kit provides a comprehensive set of tools for self-myofasical release. They are easy to use, target the muscles that need relief – both large and small, and provide good recovery so your body repairs itself and is ready to go again. If you wanted to start with one piece to test it out, I’d go with either the roller or the helix. But if you want to jump in, get the lot and save some money, then the kits are the way to go. If you’ve got any questions about specific areas you need to target or more specific questions on RAD rollers, either pop them in the comments below or email me via my contact page, and I’ll help as much as I can.